This is a great recipe to make when you have friends over or when you fancy something tasty yourself. 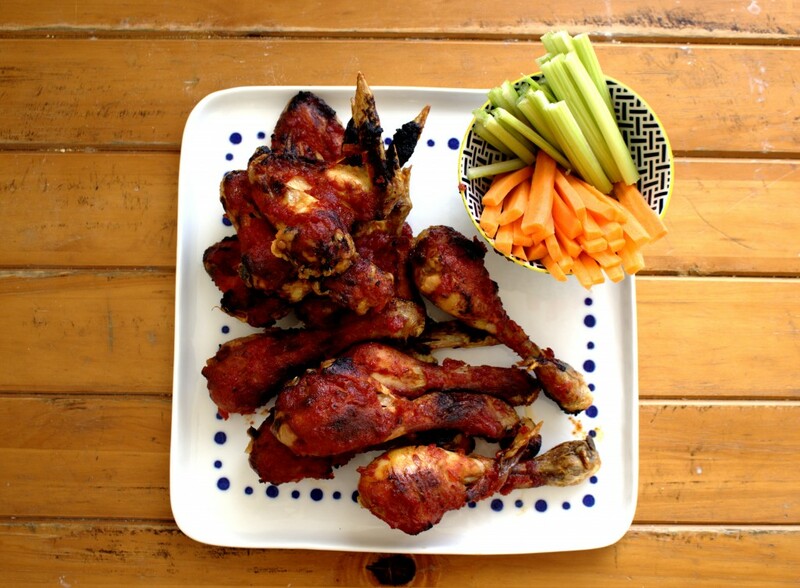 It looks impressive on the table and the sweet n’ sticky barbecue sauce tastes even better than the sugar-filled ones we were used to! 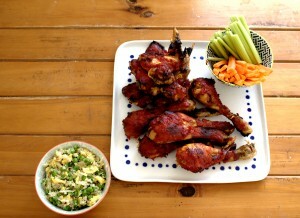 You can find the recipe for my homemade barbecue sauce here. The recipe is easily doubled or tripled for a big crowd. 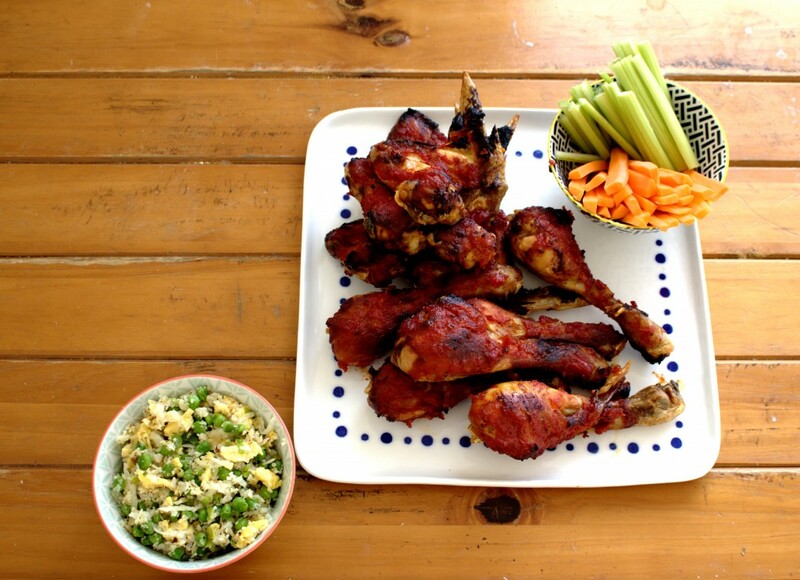 Serve with some raw celery and carrot sticks and some extra barbecue dipping sauce for a splash of colour. The perfect tasty appetizer to share with your friends! Preheat the oven to 180°C Fan, 200°C electric, Gas 6, 350°F. 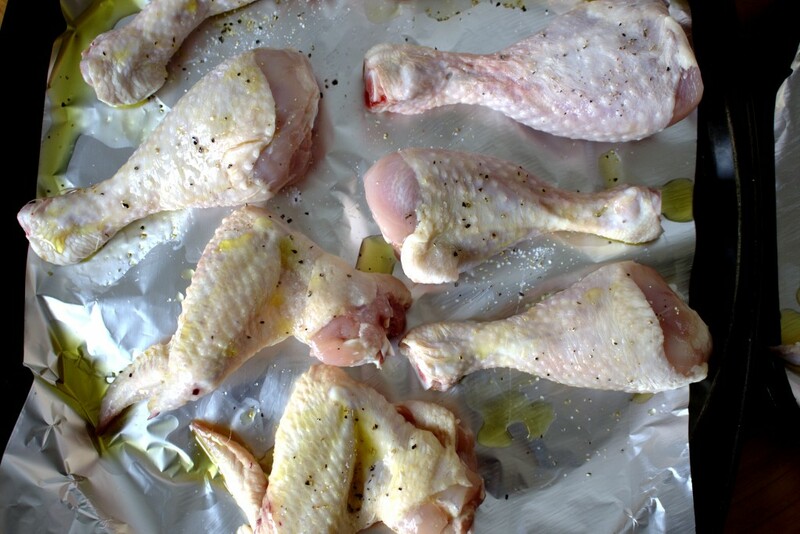 Place the chicken wings or drumsticks on baking trays lined with parchment paper or tin foil. Rub them with olive oil and season with salt and pepper. Bake for 20 minutes, then turn oven and bake for another 20 minutes on the other side. You want these crispy! 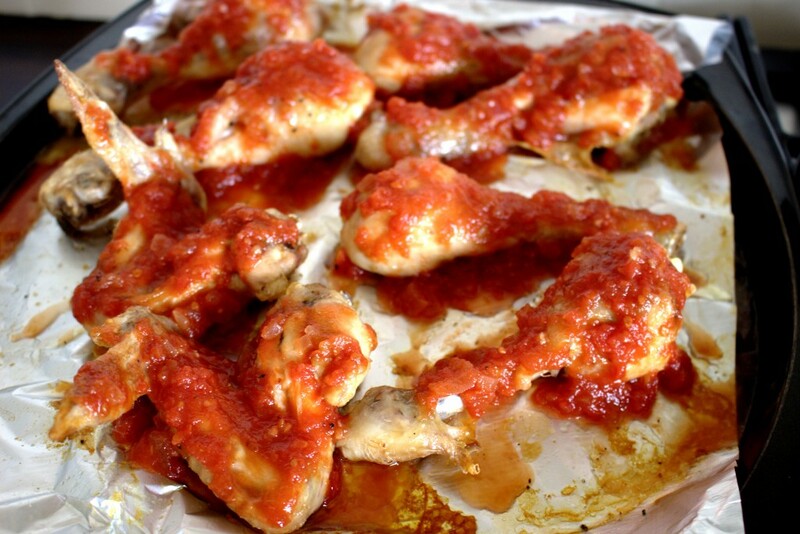 Bake for 20 minutes more until the barbecue sauce becomes sticky and tasty! You may need to begin checking after 15 minutes to make sure they don't burn.